Good boundaries are essential for all living things. From healthy cell walls to defined national borders, boundaries are essential. Many of us were never taught this when growing up, and it is very hard to learn on your own. That said, you can learn how to grow healthy boundaries in your life, with some help. 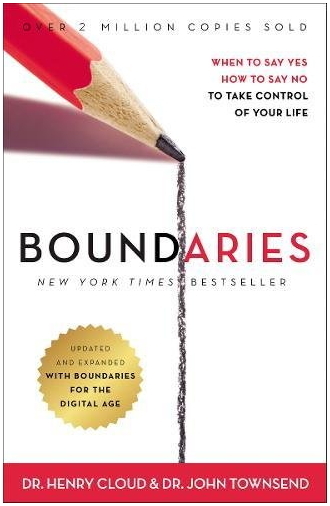 Townsend and Cloud have written many books to help people understand and define their boundaries. It is the best series of books I have found on the subject. They write from a Christian perspective, so use and learn from what they have written adjusted to fit your religious perspective.